This bracelet is just gorgeous. The blues in this Opal are magnificent. 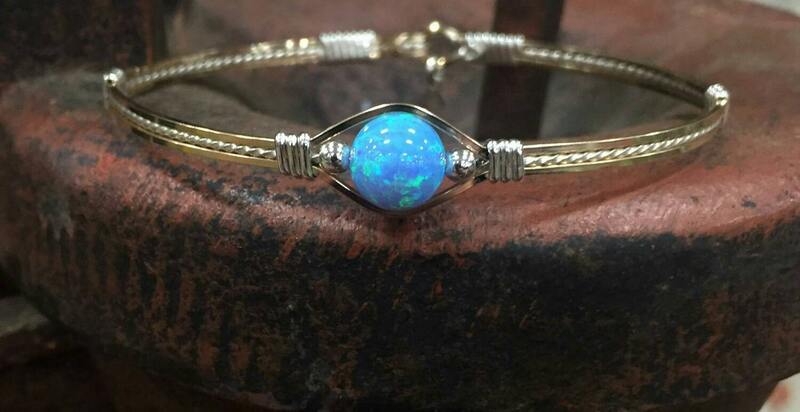 Wrapped in 14kt Gold filled wire with Sterling Silver accents.